I liked the idea of a focused topic. I wasn't sure what to expect with the "leadership" focus, but liked that there was a focus for conversation and learning. 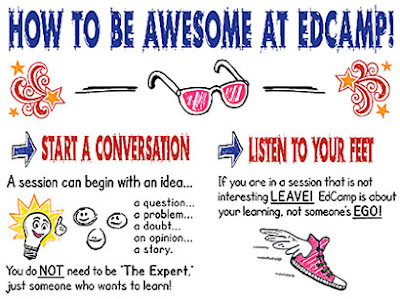 I've never presented at an edcamp and wanted to give it a shot (and did!). Location, location, location. The North Jersey location was fairly close and convenient for my drive. And of course, the people. Once again, I had a great opportunity to connect with many of my Twitter friends, hang out, share, and learn. 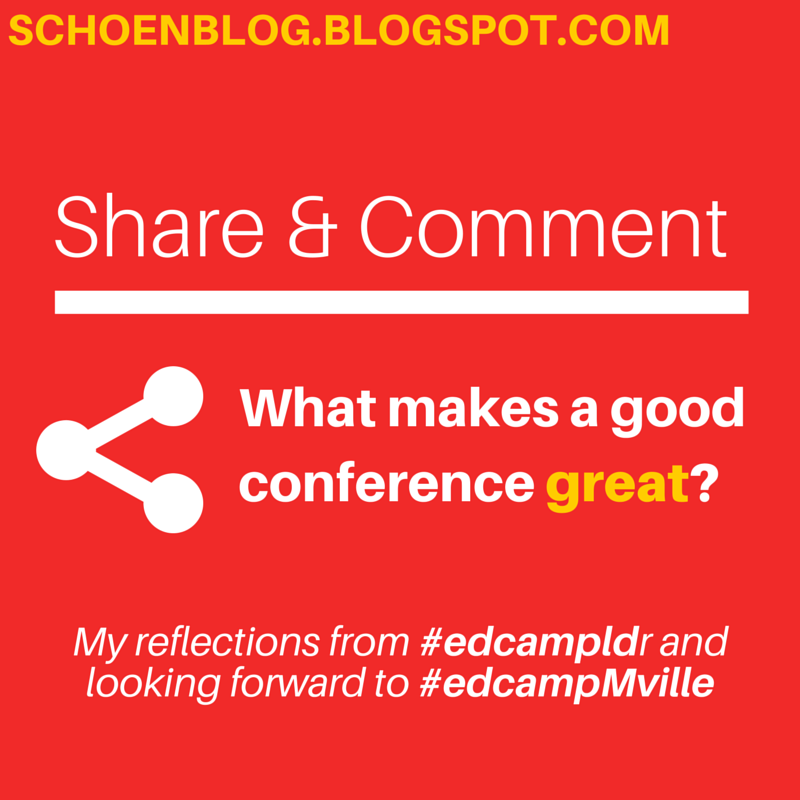 So, fresh from #edcampldr, I'm reflecting on things that make a good conference great. 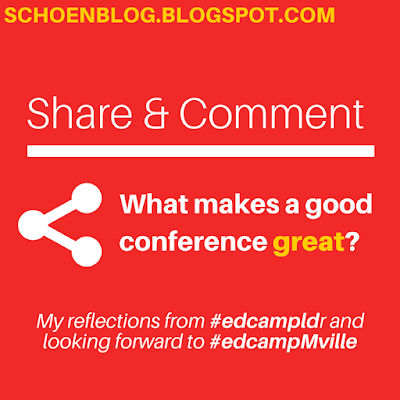 Share yours and help me help make #edcampMVille even better! 1. Good Food. Learning and connecting all day can be surprisingly exhausting for both the body and mind. Like the great Ron Swanson says, "why does anyone in the world eat anything but breakfast food?" and a good breakfast is the best way to start any conference day. Anyone ever go to a LHRIC event at Edith Macy? Now that's impressive food. Then there's nothing like a strong lunch to give you a second wind for a great afternoon. Bonus points from me if you keep the coffee on all day, too. 2. A place to hang out. I'm so thankful for all of the wonderful presenters and leaders at many of the conferences I've attended. I've learned so much and connected with so many people. But sometimes, you just need a break. I love when a conference has somewhere to just hang out, talk, relax, and refocus. Whether it's the Maker Space at #TCT15, the "extra room" at #edcampldr, or the welcoming cafeteria at #Ednado, it's great to be able to take a break as needed and have somewhere to do so. One of my favorite parts of #edcampldr was hanging out in the cafeteria with my wonderful #EdJusticeLeague friends, Chris Nesi and AJ Bianco, talking about blogging. We spend a good 45 minutes sharing, collaborating, and learning from each other. I'm thankful for conferences that are well scheduled and packed with learning but love the edcamp model that provides us with opportunities to find or make the opportunities for learning you need. 3. Friendly Competition. A raffle's always fun but I loved the way #Ednado used Remind for a scavenger hunt to earn extra raffle tickets. I was also a big fan of the Twitter leaderboard which promoted backchanneling and sharing of learning. Many conferences promote shared Google Docs for note taking, which is another great tool. 4. Sharing Good Stuff. So much great sharing goes on at conferences, and like the work that goes on in our classrooms and schools, it deserves to be highlighted. It's great when participants and attendees share their thoughts, learning, and what they like from keynotes and presentations, but I also love when the conference has ways to make this happen, too. Demo Slams, Photo Booths, like at GAFE Summits and #Ednado and photographers like at #edcampldr make this easy and fun. 5. The Rule of Two Feet. This philosophy is one part of what makes an edcamp truly special. So often, conferences have great learning but a rigid structure and atmosphere that makes you feel the need to finish out every session you attend. It would be rude to leave, even if you're not learning, right? Not at an edcamp. Edcamps are built on the idea that if you are not learning, find somewhere else you will be. Sometimes it's hard to predict which session is right for you and I so appreciate the fact that instead of attending one session, I can attend as many as I want and find the learning that really works for me. A good conference allows the participant to really personalize the learning and make sure no time is wasted. Of course, engaging and worthwhile content and expert presenters are important, too. But I'll assume we have those already. Here are five relatively small things that have made my conference-going experience great. What are yours? 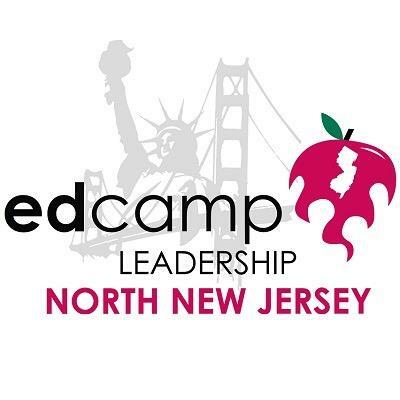 Tweet or comment and let me know what you liked about #edcampldr or other recent conferences. What should we do to get #edcampMVille right?